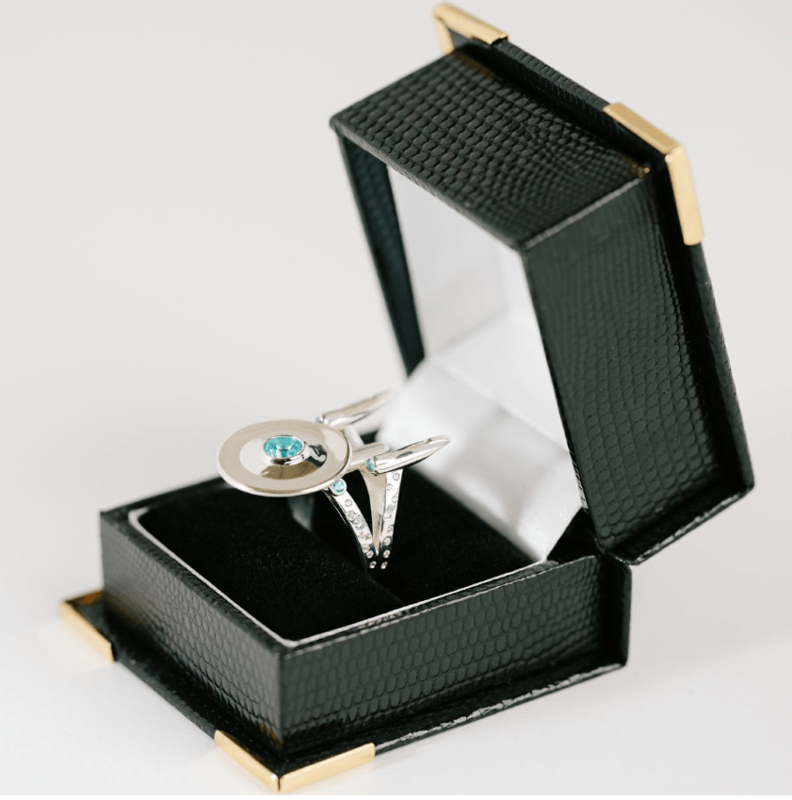 If you’re a die-hard Star Trek fan and want to incorporate it into your wedding somehow, here’s how. 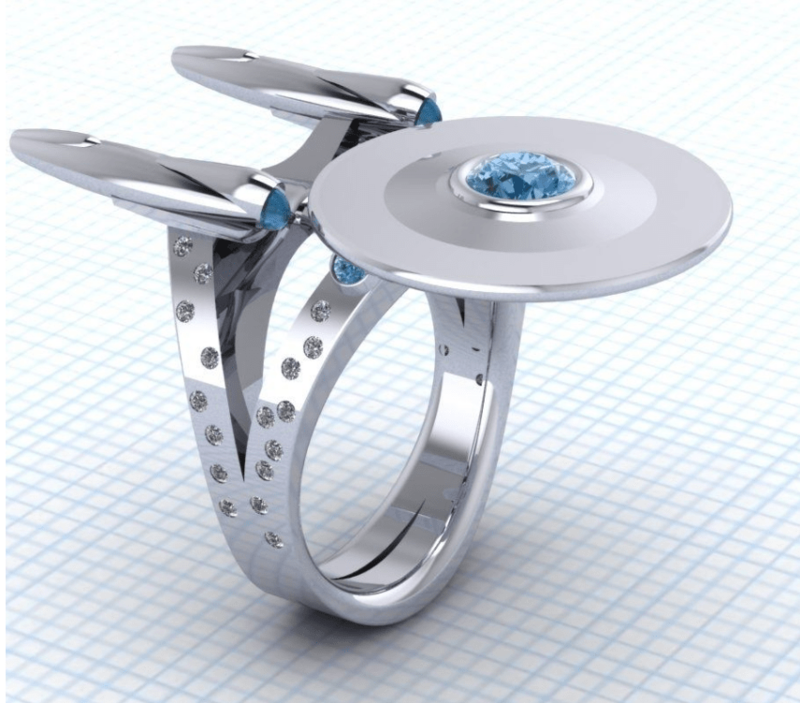 Or, maybe you just feel like sporting the USS Enterprise on your finger everywhere you go, whatever your reason is, we think you’re going to love this ring. It also comes in variations in case you prefer white gold with topaz and a white diamond galaxy, or sterling silver with blue topaz. The grandiose though is their platinum with blue color enhanced diamonds and a white diamond galaxy. The ring will run you about $795, and you can order one over at Paul Michael Design.